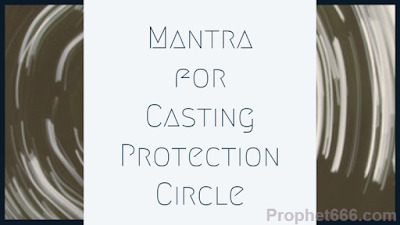 In this post, I have written about a Mantra for casting a occult spell for enclosing yourself inside a protection circle that will secure you against any kind of harm from attacks from a group of enemies. In this Hindi language this Mantra is called as Shatru Ki Sena Ko Maidan Me Se Bhagane Ka Mantra. This is an ancient Indian Protection Mantra and the term Sena or Army in today’s times means the supporters or gang members of the enemies or dangerous rivals. This Atma Raksha Mantra is said to enable the practitioner to create a protective circle or area around himself, which will make the supporters of the enemies who have come to attack, harm or kill the practitioner leave the battleground and run away. 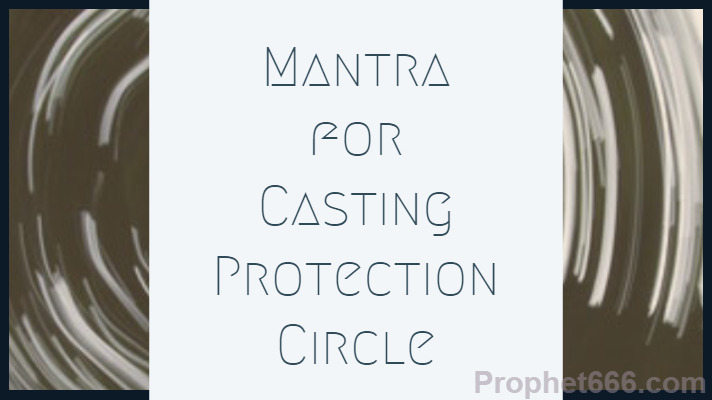 This is a Siddh Mantra and as per the Tantra, the practitioner can practice it for creating an invisible protection circle around himself whenever he feels that he is going to be attacked by his enemies. The method of practicing this Mantra Prayog has been given below. The Mantra given below should be chanted for 1 Mala or 108 Mantra Jaap and then the practitioner should draw a circle or rectangle around himself on the ground using a wooden or metal stick. The practitioner can use a Rudraksha Jaap Mala for counting the number of Mantra Chants. All information is as per the Tantra, this site cannot vouch for the effective working of this Mantra Experiment as a lot depends upon the will power of the practitioner. Why don't you help our jawans fighting at the border day n night with some special mantras tantras n aĺl u have with your knowledge about this subject. It may create a great atmosphere for India.